A high-quality 360-degree camera at $30? It sounds too good to be true, but the Wyze Cam Pan is far from a gimmick. After bowling us over recently with a $20 smart cam, Wyze Labs is back with Wyze Cam Pan. 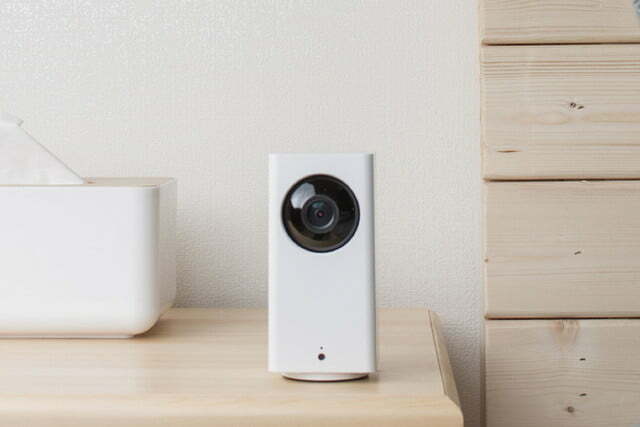 It’s a $30 pan/tilt/zoom (PTZ) model, offering 360-degree room coverage, 93-degree vertical tilting, and the same full HD video quality that impressed us in the second generation Wyze Cam. At just $30, the company will be hoping the new model continues to build momentum in a category that is packed with competition. Few consumer brands have tackled the complexity of a PTZ design or smarter ways of delivering 360-degree coverage. Those that have, such as the $120 VTech HD Pan & Tilt Camera or $230 Guardzilla 360, have promised much but ultimately disappointed. So, you’d be forgiven for thinking that a budget camera couldn’t possibly outperform devices that cost four times its price. 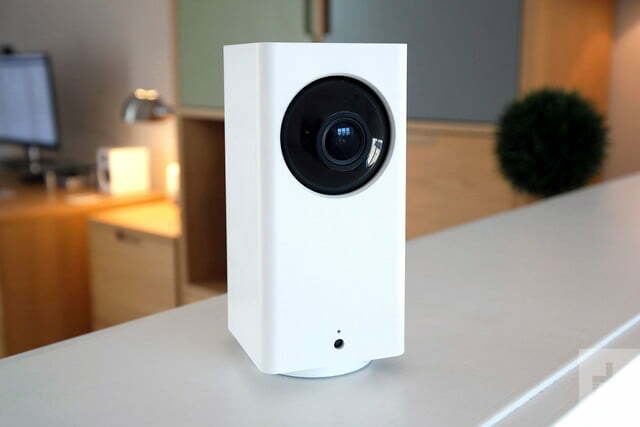 We had a similar inkling about Wyze Cam v2, though, and we were dead wrong. While PTZ support is the big news, cast a glance at Wyze Cam Pan’s comprehensive list of features and you’ll see everything you’d expect to find in a modern smart cam. 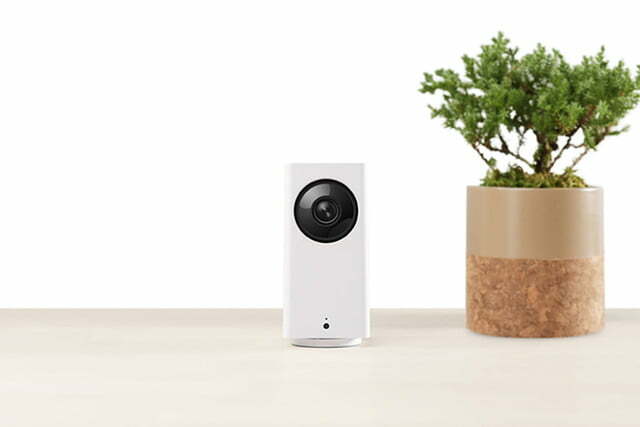 Like Wyze Cam v2, the new model offers 1080p resolution, night vision, motion-detection zones, smart notification, two-way audio, and local and cloud recording. What we didn’t expect to see was a wider, 120-degree field of vision and a motion tracking feature that enables the camera to intelligently follow moving objects around the room. Open the box and you’ll see a device that very much resembles a taller version of the original Wyze Cam, which is no bad move. It’s a little lightweight, but the white matte plastics feel good in the hand, with chamfered corners that add a touch of quality. Give it a squeeze and you don’t feel the traditional creaking that’s the hallmark of a cheaply-built device. It’s a smart design, in all ways. Give it a squeeze, and you don’t feel the traditional creaking that’s the hallmark of a cheaply-built device. It’s a smart design, in all ways. The extendable (and slightly flimsy) base of the previous model has been replaced with a grippy disc on which the camera spins. It’s a little smaller than the camera body, but the device remains quite stable on the desktop. While you won’t find a mount included in the box, the base includes a standard quarter-inch screw hole for wall mounting plus a micro-USB slot for power. 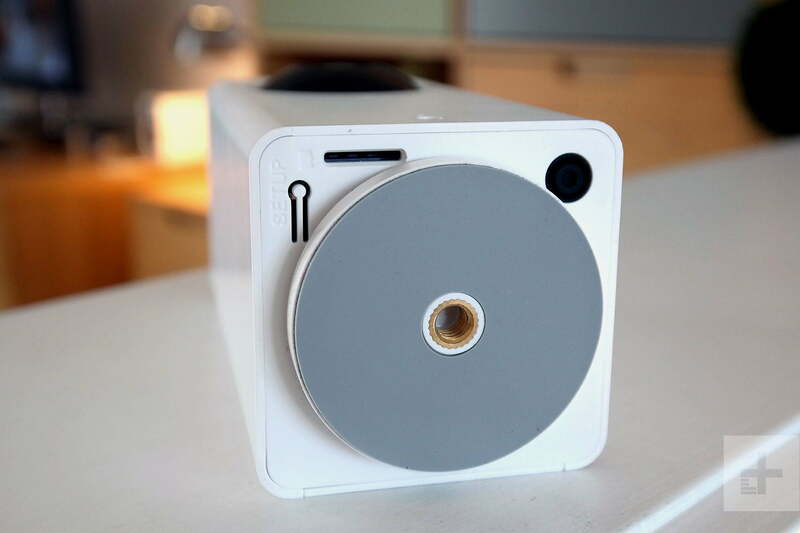 Other connectivity includes a handy USB-A port on the back of the camera, which allows you to daisy-chain and power a second Wyze Cam, while a microSD port on the underside of the device supports up to 32 GB of local storage. 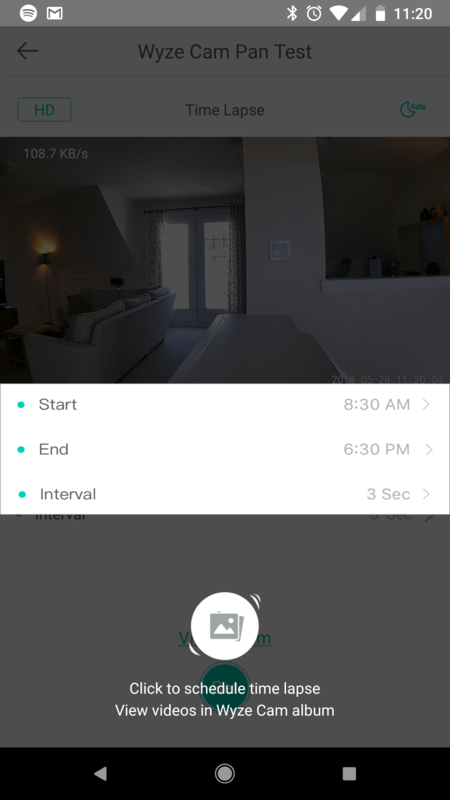 Setup, using a beta release of the Wyze Cam smartphone app, proceeded without an issue. 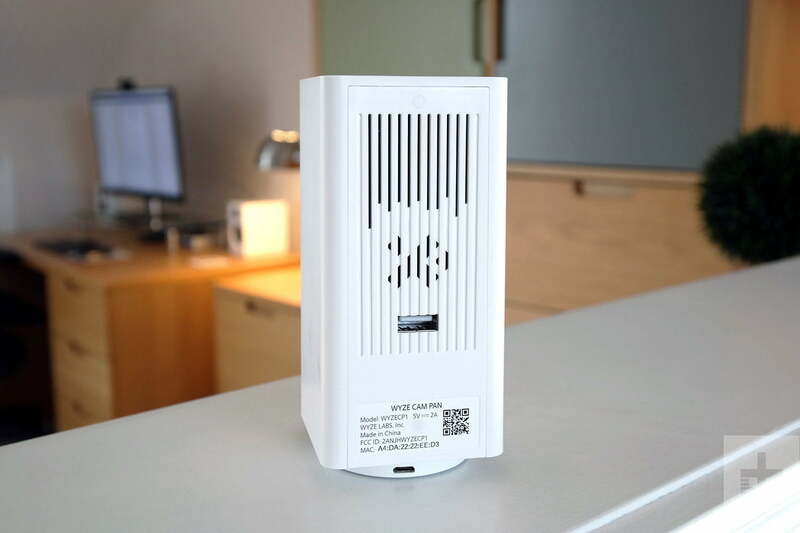 Voice prompts from the camera’s speaker help you through the process, and a quick scan of a QR code, displayed on your smartphone’s screen, ensures you’re connected quickly. Once up and running, we were delighted to see Wyze Cam Pan delivered the same clear, high-quality imaging that we enjoyed from Wyze Cam v2. Images were well saturated and balanced, although once again, lighter areas such as sunlit windows and indoor lights suffered from significant over-exposure. To be fair to Wyze Labs, this this a problem we’ve encountered on most smart cams we’ve tested this year. The wide, 120-degree field of vision provided a generous view of the room, and while there was a noticeable fish-eye lens effect at the edges of the image, it didn’t cause issues with monitoring. Switching to night vision, we were again impressed by reasonably clear and sharp images, which were superior to pricier competitors like the VTech HD Pan & Tilt Camera. Audio, however, was far less refined. The integrated microphone detected and recorded audio successfully, but when we played back a recording from the local SD card on a PC, we found that captured audio was quite harsh. 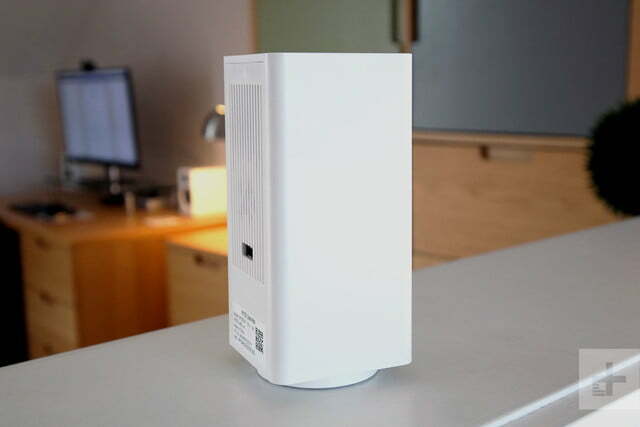 Wyze Cam Pan’s speaker was functional serves as an intercom or to deliver audible warnings to intruders, but, like most smart cams we test, investment is weighted heavily towards the imaging sensor. Panning and tilting the camera, either by swiping the video on your smartphone or using a circular direction pad, was fluid and incredibly responsive, with the camera rotating on its axis with very little lag. The camera’s motor speed can be adjusted from the default mid-point, but we found that noise output – which is reasonably quiet, if a little grindy – increased at higher speeds. We were delighted to see Wyze Cam Pan delivered the same clear, high-quality imaging that we enjoyed from Wyze Cam v2. 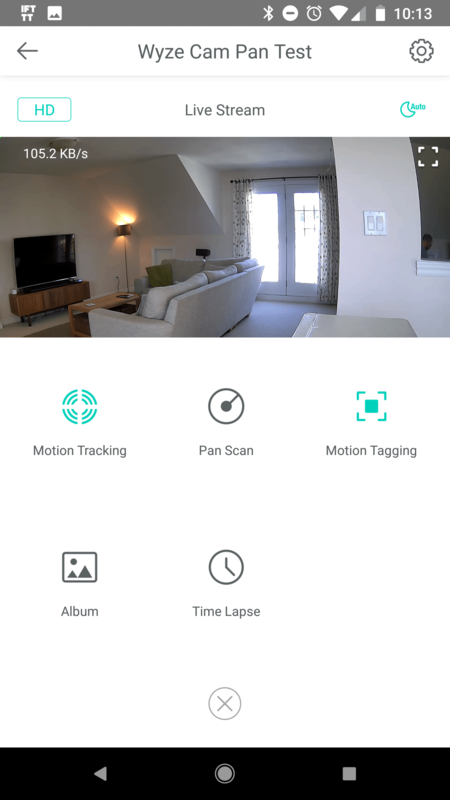 Alongside manual controls, Wyze Cam Pan also supports automated features, including an adjustable Pan Scan mode, which cycles the camera’s position every 10-seconds, and motion tracking, which follows detected movement around the room. The latter option worked reasonably well at times, although the camera was much more successful at tracking slower movements. On some occasions, particularly with faster motion, the camera lost the subject or randomly spun away to point in an arbitrary direction. We also found that enabling both Pan Scan and Motion Tracking modes simultaneously led to tracking no longer working, while in any mode, panning introduced temporary image pixelation, which was quickly corrected once the camera refocused. 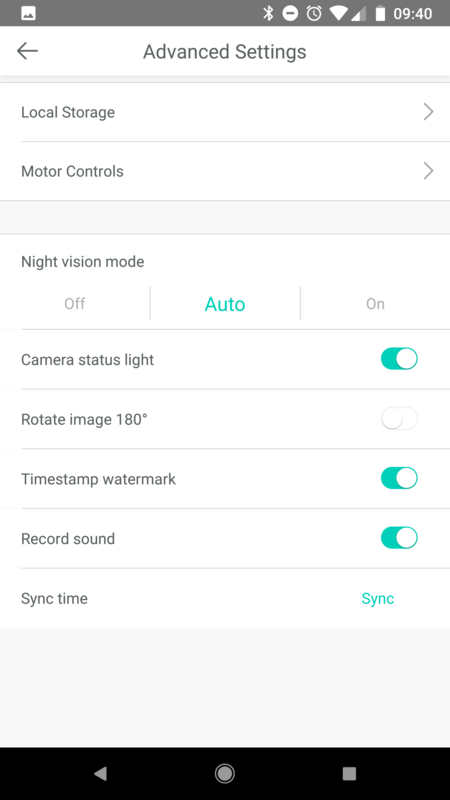 Given time, Wyze Labs may well be able to tweak the camera’s algorithm to fine-tune motion tracking. 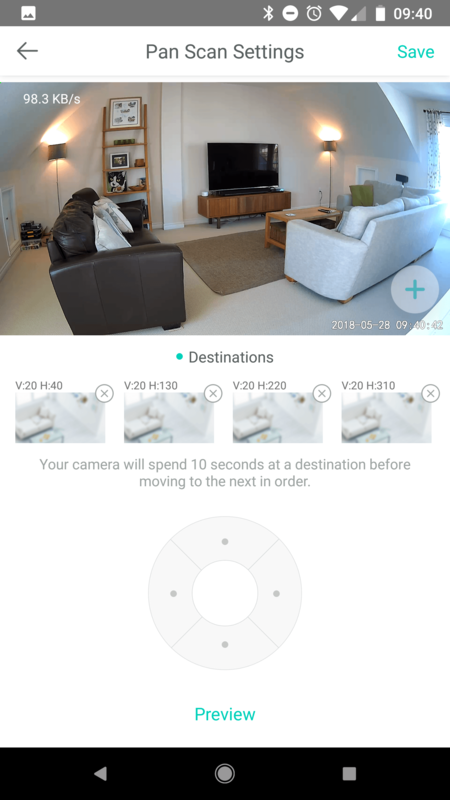 As it stands, it’s certainly a useful addition – especially on a $30 smart cam – but in these early days, be prepared to experiment to find the right balance of features and performance for your home. Elsewhere, like with the Wyze Cam v2, we found this device’s supporting features to be hit or miss. 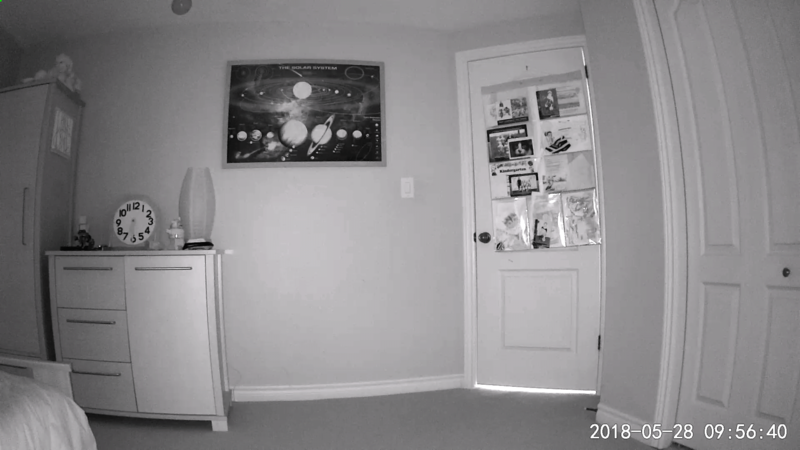 Thankfully, issues with push notifications appear to be resolved, as Wyze Cam Pan did a good job of alerting us to potential threats within seconds of detection. Generically, both sound and motion detection worked well, but the advertised smoke and carbon monoxide alarm alerts were a bust. In tests, both types of alarms were simply identified with a “detected sound” notification. However, a beautifully-simple user interface, elegant video review controls, free cloud and local SD recording, and bonus features like time-lapse video creation lead to Wyze Cam Pan punching well above its weight. It delivers significantly greater value than many competitors. Wyze Cam Pan is backed by a 1-year limited warranty, covering defects in parts and workmanship. Certainly, Wyze Labs has more work to do on refining the device’s more advanced, intelligent features, but make no mistake, at this price point, you really can’t go wrong. The new model retains and, in some areas, improves on the formula that made Wyze Cam v2 so special. A combination of attractive hardware, strong imaging performance, pan/tilt features, and a choice of free cloud or local recording would be impressive in a $150 camera. At $30, it’s a complete steal. At this price point? Just one. If pan/tilt features feel like an indulgence, save yourself $10 and pick up Wyze Cam v2 instead. As a start-up, there are few guarantees on longevity, but this is Wyze Labs’ third hardware release, and the company continues to refine its products with new features and firmware updates. The addition of moving parts to support Wyze Cam Pan’s pan and tilt features increase the risk of hardware failure, so let’s hope the company has invested the $10 premium over Wyze Cam v2 wisely. A community of more than 150,000 registered users suggests that the company is building momentum. Fingers crossed they have the resources to maintain their high-value, innovative edge while keeping the lights on. Go for it. A $30 PTZ smart camera shouldn’t be this good, and at this price point, what have you got to lose?